Pope Francis led a mass with the Butterfly badge on him. Even her memory has started fading, Kim, Yang-joo remembered the day at Myoung-Dong Catholic Church, where she and other 5 comfort women attended a mass with Pope Francis. 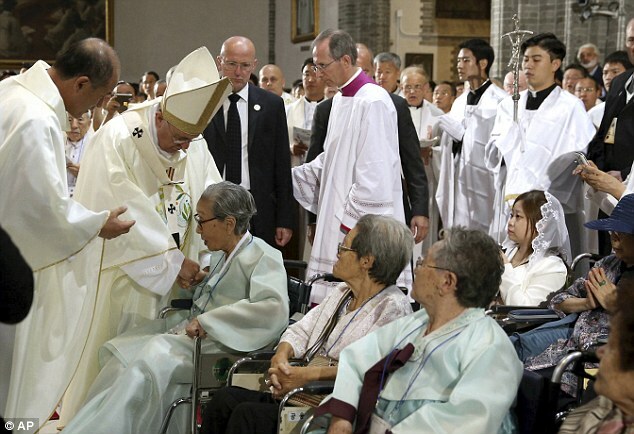 Pope Francis shared and acknowledged the pain of comfort women by attaching a Butterfly badge, which is a symbol of protesting assault,discrimination against women, at the mass. Kim, Yang-joo, borne in 1924,with her mother, ran away home from abusive father when she was young. They were so poor, Yang-joo followed a person who offered her a good job. However, she was taken as a comfort woman. Since then, her life has been so difficult. She has never married, earning her living as a maid to many households. 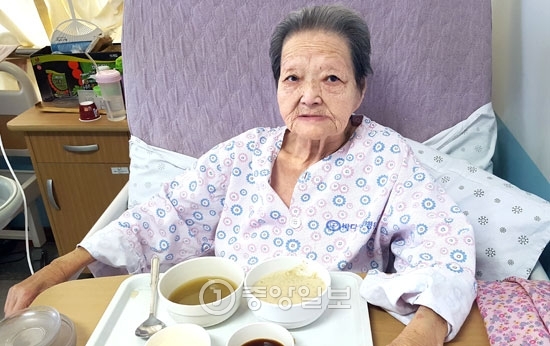 At the age of 91, her health gets deteriorated and her only wish is now that Japanese government acknowledges the fact and takes responsibility, and apologizes to her. Not much time is left for her.